Description: Christmas is right around the corner. Stanley would make the perfect Christmas present for yourself or for your kid or for a present for the entire family. 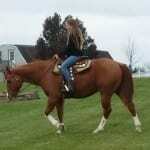 Stanley is a seven-year-old red dun quarter horse gelding. He is 15 hands tall. Stanley is an all-around perfect Trail companion. 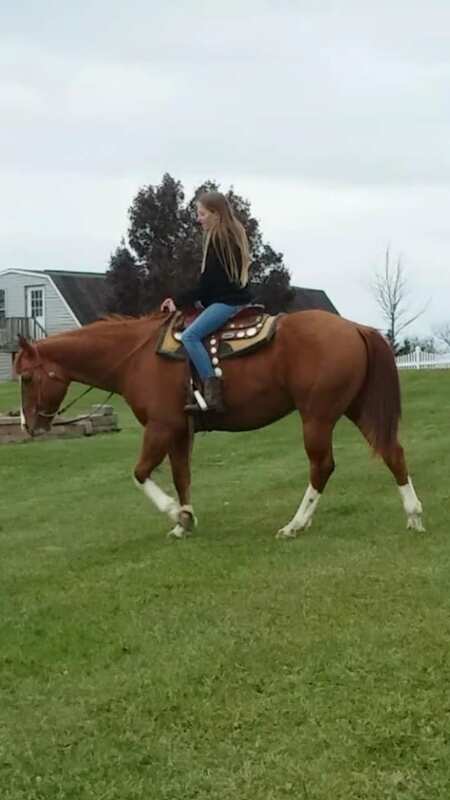 He is very consistent, and will ride the same way every time weather you ride him everyday once a week or he sets for a month he will always be the exact same horse. 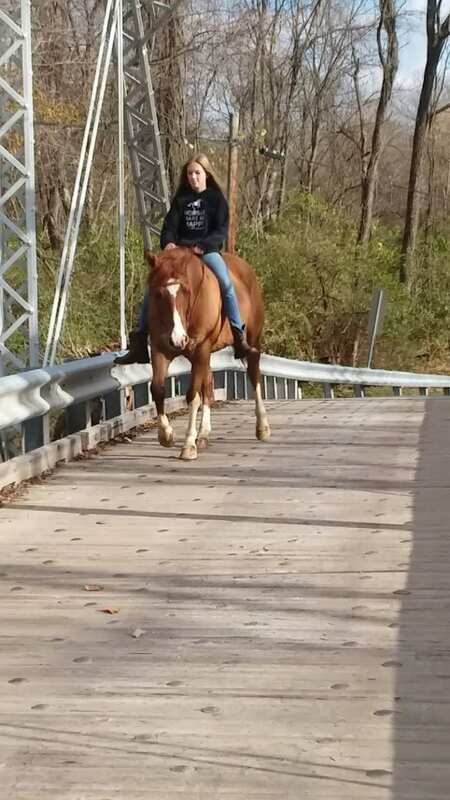 Stanley is the most calm, cool, chill, safe horse I have ever had the pleasure to be around and he's only 7 years old. 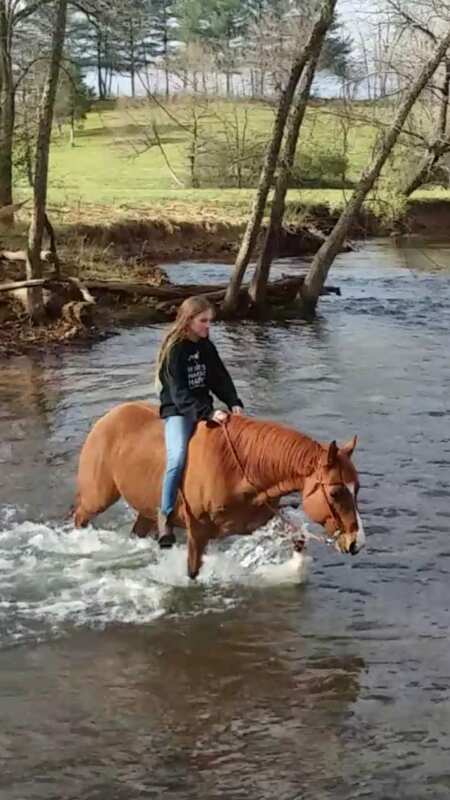 He has always went with the flow with his calm demeanor never got worked up and will always take care of the person handling him or riding him. 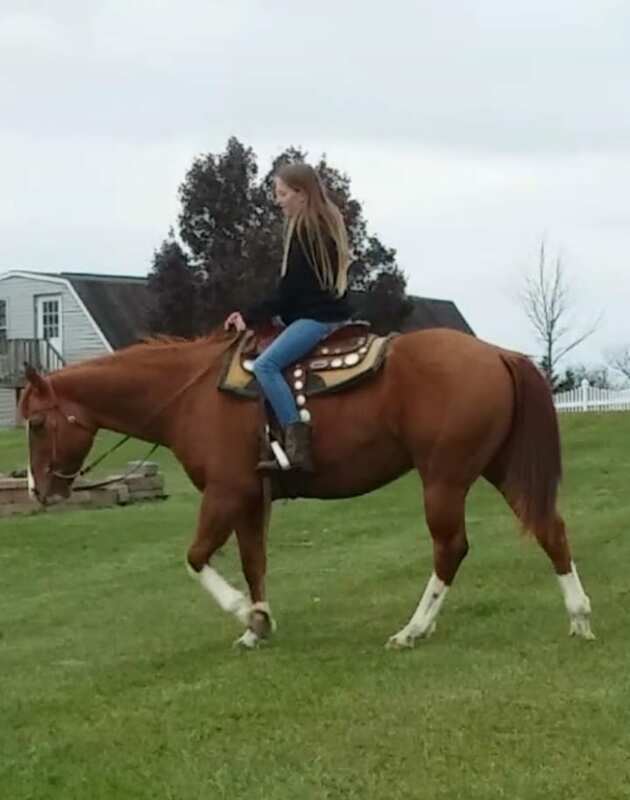 He is perfect horse out on the trail he will not spook rides nice and quiet with a great headset no matter what his surroundings are. 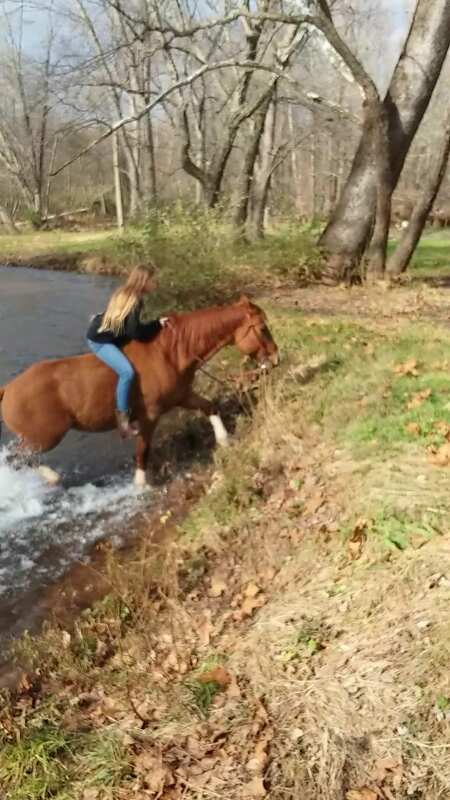 He will cross ditches go up steep Banks walks right into water cross wooden bridges and he is traffic safe all for a kid at that. 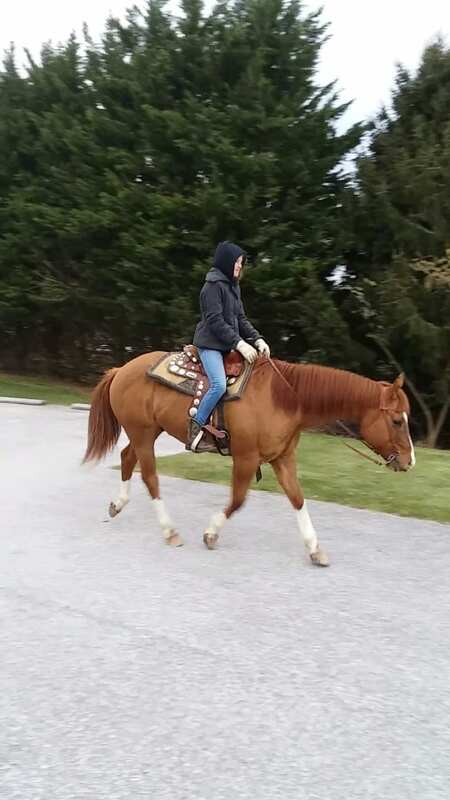 He is always the perfect gentleman stays at the speed you asked him when you lead him or ride him you could never ask for a better mannered horse. He absolutely loves attention we will take it at every opportunity he can get it but he also knows he has a job to do and he's just as content as pleasing you out on the trails. 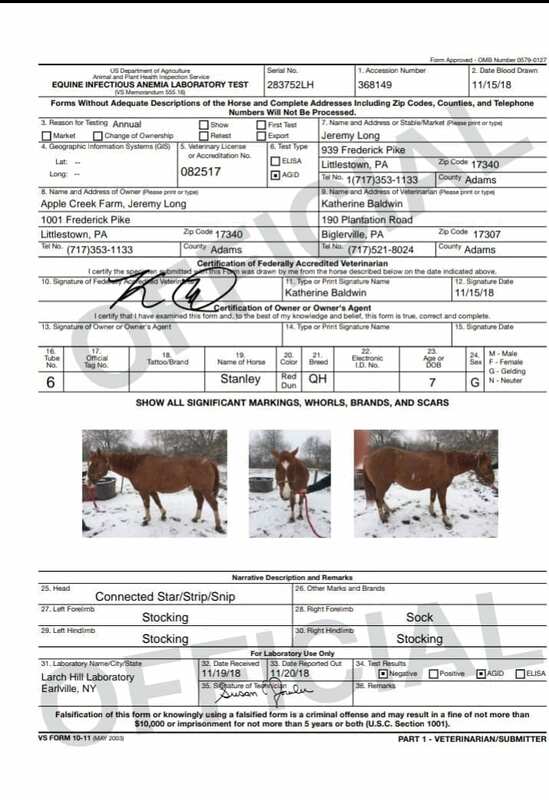 We at Apple Creek Farm proudly present Stanley he is a bombproof safe family horse, he has seen hundreds of miles of trails already been there and done that at only a 7 year old and he has entire life ahead of him. 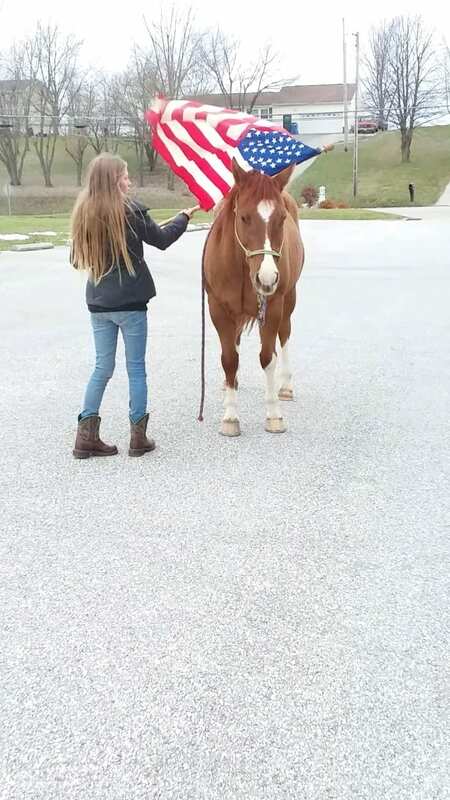 If you are looking for a very quiet safe Trail companion that will keep you safe on his back or on the ground during your everyday chores that you do with horses everyday look no farther please check out the video and if you have any questions please ask. If there's anything in the video that I did not cover please ask for video or pictures and I will be sure to get it to you. 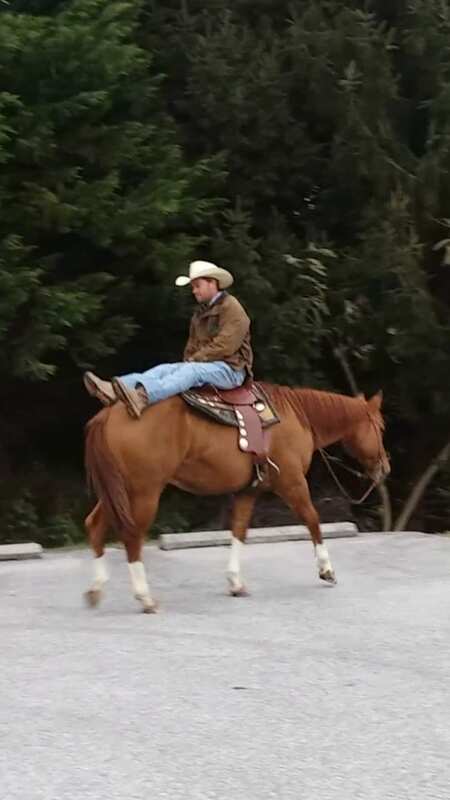 I invite you to come see Stanley spend time with him ride him and just enjoy him, you will be absolutely in love. 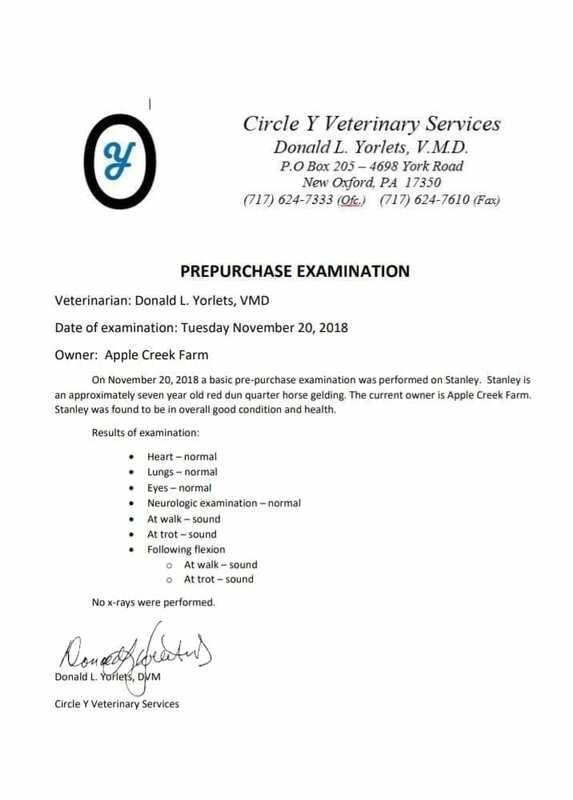 If Stanley will be a Christmas present and you want to keep it a surprise I will do my very best to work with you to get the shipment as close to Christmas as possible. If you have any questions please don't hesitate to call.